From which Gayatri is this part taken? Please cite proper scriptural source. At last I received the original mantra and source from a friend of mine who is a monk of the Ramakrishna order. The Gayatri Mantra is a part of the Medha-Suktam (Taittiriya Aranyakam-4,prapatak-10,Anubak 41-44). 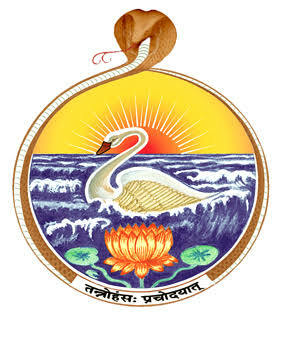 Here Hamsa is the Paramatma in the form of Surya.Because just the previous line reads 'Mayi Suryo bhrajo dadhatu. Hamsa is a name of Surya as per the sanskrit dictionary also. There is no name mentioned like 'हंस-गायत्री' by the way. Not the answer you're looking for? Browse other questions tagged identification-request gayatri-mantra . Are Bala and Ati Bala mantras different from and superior to Gayatri mantra? What is the nature of this depiction? Which Gods are presented here? What is Gayatri Sadhana? How it is different from Gayatri mantra japa? What's its significance?